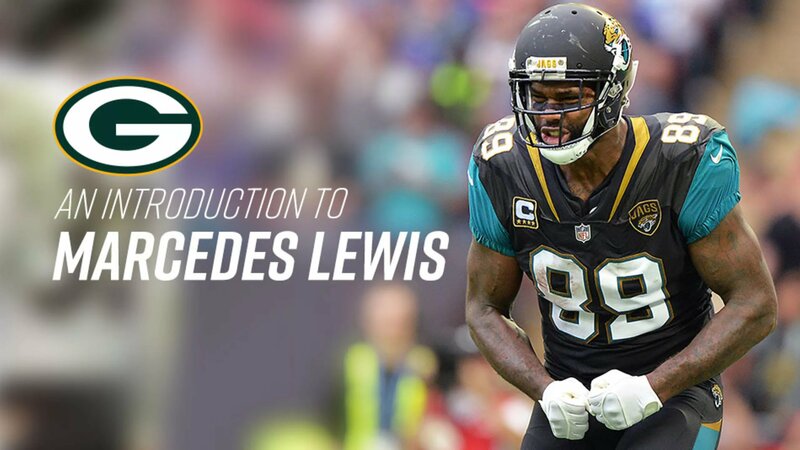 GREEN BAY – The Packers have added another veteran to their tight end room with the signing of former Pro Bowler Marcedes Lewis. A first-round pick out of UCLA in 2006, Lewis has played all of his 12 NFL seasons with the Jacksonville Jaguars. A renowned blocker, Lewis has caught 375 passes for 4,502 yards and 33 touchdowns in 170 regular-season games. The 6-foot-6, 267-pound tight end joins Jimmy Graham as the new veteran additions to a Green Bay position group that returns Lance Kendricks, Emanuel Byrd and Robert Tonyan. Lewis had a record-setting run in Jacksonville Lewis is the owner of the Jaguars’ records for receptions, career touchdowns, receiving yards and receptions of 25-plus yards by a tight end. He is one of only three Jaguars to surpass 4,000 career receiving yards, joining Jimmy Smith (12,287) and Kennan McCardell (6,393). He started 156 of the 170 games he played for the Jaguars. He’s in good company. Lewis, 34, was one of 46 players who made at least one Pro Bowl appearance from the 2006 NFL Draft class. Lewis became the Jaguars’ first tight end to achieve the honor in 2010 after recording a career-high 58 receptions for 700 yards and 10 touchdowns. He also was named second-team All-Pro. His 375 career receptions are ninth-most among active NFL tight ends. He can block with the best of ’em. Lewis has developed a reputation for being one of the league’s top blockers at the tight end position. He blocked for two All-Pro running backs early in his career, Fred Taylor and Maurice Jones-Drew, and started all 16 games last year during Leonard Fournette’s 1,000-yard season, one of six 1,000-yard rushing campaigns the Jaguars had during Lewis’ 12 seasons. He’s been durable throughout his NFL career. Lewis has missed only 22 games in his 12-year NFL career, nearly half of those coming in 2014 when he suffered a high-ankle sprain. Lewis bounced back from a season-ending calf injury in 2016 to start all 16 games last season, playing 895 offensive snaps. Something’s Bruin Lewis’ four seasons at UCLA saw him start 32 of 49 games and set school records for tight ends with 126 catches for 1,571 yards and 21 touchdowns. He won the 2005 Mackey Award, an honor given to the nation’s top tight end. Lewis played most of his college football with Jones-Drew before the two landed in Jacksonville together as part of the same 2006 draft class.